Without compromising any of the unique Gardner-style features, we've created a beautiful family home designed for easy building and easy living. The refined, traditional exterior stops traffic with eye-catching brick, double dormers, and a hip roof. Inside, the foyer opens to a generous great room with cathedral ceiling and fireplace. Columns define the entrance to the kitchen, while the entrance to the master suite is secluded beyond the breakfast area. 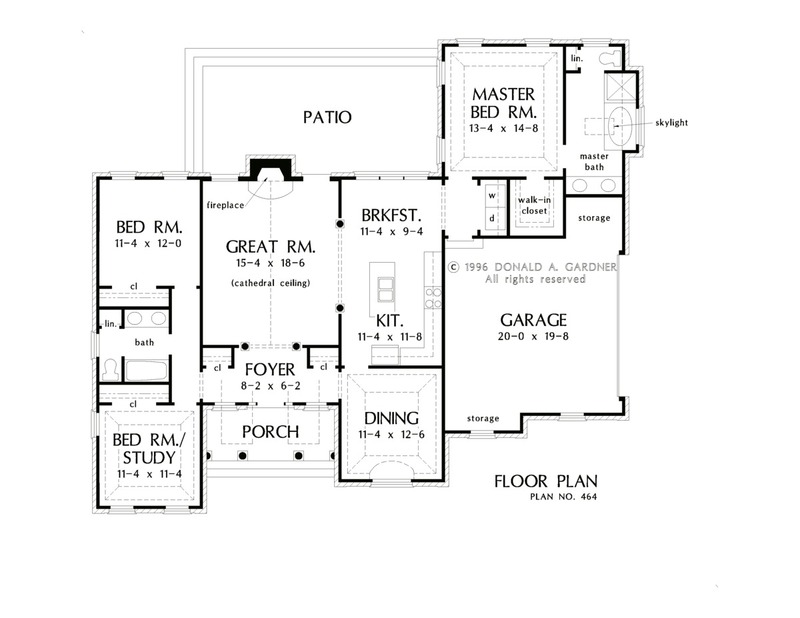 The master bedroom, dining room, and front bedroom/study receive distinction from tray ceilings. Two family bedrooms share a full bath with dual vanities. 1st Floor: 1800 Sq. 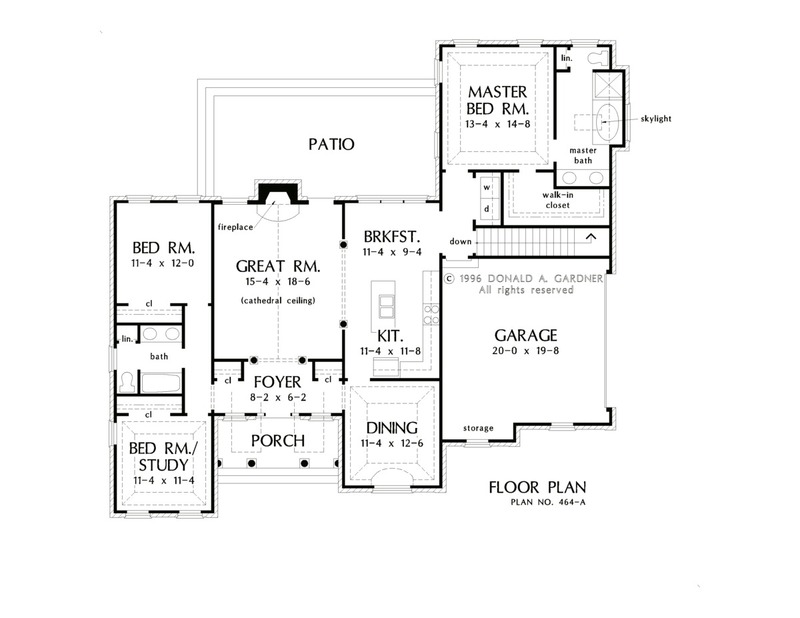 Ft.
House Dimensions: 62' 2" x 53' 5"
Utility Room : 3' 0" x 6' 4" x 9' 0"
Garage Storage : 8' 6" x 2' 0" x 0' 0"
Master Bedroom (Tray): 13' 4" x 14' 8" x 10' 6"
Bedroom / Study (Tray): 11' 4" x 11' 4" x 10' 6"
Bedroom #1 : 11' 4" x 12' 0" x 9' 0"
Porch - Front : 14' 5" x 6' 3" x 0' 0"
Deck / Patio : 26' 7" x 12' 1" x 0' 0"
Storage (Other) : 6' 4" x 4' 8" x 0' 0"
Foyer (Sloped): 8' 2" x 6' 2" x 18' 6"
Dining Room (Tray): 11' 4" x 12' 6" x 10' 6"
Great Room (Cathedral): 15' 4" x 18' 6" x 18' 0"